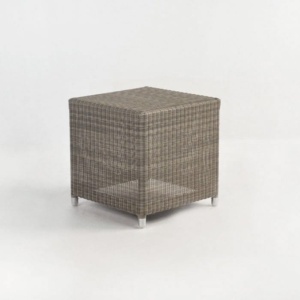 This cushy Wicker Ottoman, available in Kubu, as shown, perfectly complements our Aaron Outdoor Armchair. Choose from a Taupe or a Canvas coloured cushion to complement your home. 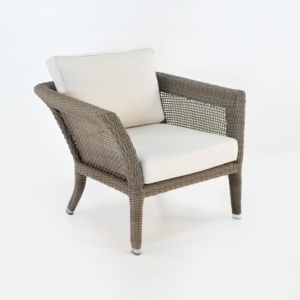 Wicker Outdoor Furniture made from resin wicker is a fantastic choice for outdoor furniture because it’s more durable, weather resistant and easy to care for than natural wicker and most other outdoor furniture materials. Wicker Outdoor Furniture is strong and rigid, made in ergonomic shapes and styles, comfortable and sturdy. Design Warehouse uses name brand resin wicker fibers from makers like Viro® and Rehau® and Ecolene®, which offer the finest quality wicker. Powder coated aluminum is our material of choice for our lightest weight outdoor furniture. It is gorgeous! The base aluminum is coated with polyester micro particles in colors that perfectly complement the furniture’s other attributes; the resulting finish keeps the furniture looking like new for many years. Even though Aluminum doesn’t rust like steel can (picture black and orange exposed steel), powder-coating offers the same oxidation protection as on our steel furniture. Sunbrella® fabric is used by Design Warehouse for cushion covers, umbrellas and most of our fabric products. It is a very consistent and high durability outdoor rated fabric that has inherent resistances to outdoor environmental conditions. 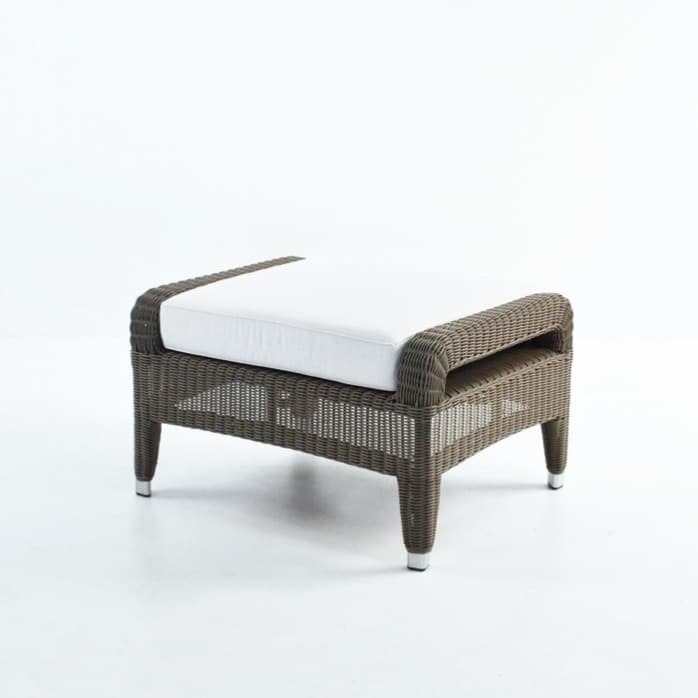 We manufacture furniture using the highest quality synthetic outdoor wicker from Viro®, Rehau® and Ecolene®. Maintenance on outdoor wicker is minimal. The wonderful characteristics of the wicker fibers used by Design Warehouse are perfect for outdoor exposure and make maintenance easy. Outdoor wicker is resistant to weather, environment, sunscreens, oils, chlorine (from pools) and many other chemicals and environmental factors. While it is very low maintenance, and requires cleaning less often than many other materials, it will occasionally require cleaning. 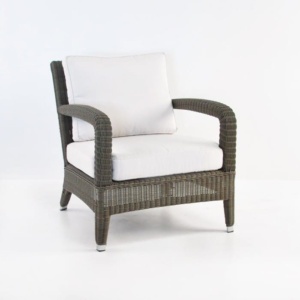 For specific care instructions for Outdoor Wicker, click through the following link. Powder-Coated Aluminium is an excellent choice for outdoor furniture, because of its good looks and durability. Powder coating is durable for outdoor furniture, but it isn’t a hard coating, relatively speaking. DO NOT USE ABRASIVE CLEANERS. Specifically, with powder-coating you won’t need abrasives anyway. The finish is smooth and resistant to dirt and debris. For specific care instructions for powder-coated aluminium, click through the following link. Sunbrella® Fabric is a perfect solution for year round outdoor furniture; we use it on cushions, pillows, canopies and umbrellas. It is rot, fade and mildew resistant and looks amazing for a long time. For specific care instructions for Sunbrella® outdoor fabrics, click through the following link.